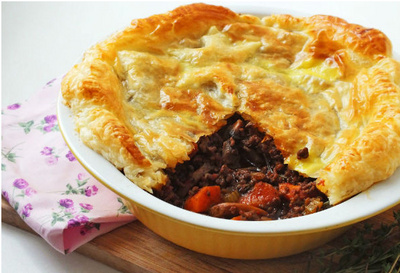 If one walks around the shopping malls and looks into the glass cabinets of some of the boutique cafes around town, meat pies with steak, steak and kidney, minced meat, lamb, chicken, casserole, steak or chicken and mushroom, turkey, mixed vegetables are on offer all over the place. The pie is having a renaissance around the world, and this provides opportunity for those entrepreneurs who want to jump in. Would you believe the humble pie was made by the ancient Egyptians and later the ancient Greeks as an easy to carry fast food, long before the English adopted it as a staple in the 12th Century. Through the Commonwealth connection the pie also became established as an important food in Australia, new Zealand, and South Africa. Now you can see it in some of the finest cafes down Orchard Road Singapore. The pie can take so many forms from something traditional, sweet, locally adapted, along with many different pastry variations. A good pie is a work of art and highly sort after. However in our region today, it's still a rare commodity. There just aren't enough good pies around to serve the lunch time city worker crowds, people out in the town looking for a snack, and those who want to take some 'no fuss' food home for dinner. There are just so many different pies that can be made, just the research and cooking you do before deciding which types to go with will be fun. You can stick to British tradition, go Mediterranean savory, Middle Eastern phyllo, incorporate Indian curries, add cheeses, and nuts, or go sweet with apple, pineapple, or coconut. Perhaps the most basic of meat pies is "the Aussie". It's just a powerhouse of mince meat to fill that hungry spot. You can make a filling from mince meat, corn flour beef stock, Worcestershire sauce, tomato sauce, barbeque sauce, some olive oil, and say a chopped up onion. You can add all the ingredients to a saucepan and cook with a wooden spoon for a few minutes and then allow it to simmer until it thickens up. Shortcrust pastry can be easily made by mixing plain flour, butter with cold water and an egg (optional). Just blend it together until you get the texture you want and roll it out into sheets. Once you have your filling you can use pie mould to shape the pastry, pour in the filling and bake in the oven for around 20 minutes, until the pastry is golden brown. The smell of a fresh cooked pie is almost irresistible and if done in a cafe will strongly promote sales. There are a variety of options about how you can turn your pie into a business. You could just make them at home and supply shops in your surrounding area each day. Slowly you could introduce new varieties and expand the range. You pies if produced with quality ingredients will soon develop a reputation as a home-made delicacy and bring to you a steady business. Alternatively you may choose to open a stall of your own, making the pies at home and selling them heated up using a small on site oven. Finally you might incorporate pies into a cafe and offer a whole range from the savory to the sweet. So a person might came and have a minced meat pie and then an apple pie for dessert. Your cafe would be full of gastronomic pie creativity for the customer to explore. The pie is an easy way for you to develop your own business. again it will be labor consuming, but fun, and more importantly a business you can get into with a very low capital outlay.